10 nov. 10/11 IE - US YFFINIAC IE - US YFFINIAC 46 - 84 U13 GARS-1 CTC - COMPETITION U13G1-CTC-COMP Champ. 24 nov. 24/11 LANNION TREGOR BASKET LANNION TREGOR BASKET 38 - 72 U13 GARS-1 CTC - COMPETITION U13G1-CTC-COMP Champ. 28 nov. 28/11 U13 GARS-1 CTC - COMPETITION U13G1-CTC-COMP 91 - 18 AS SAINT-SAMSON AS SAINT-SAMSON Champ. 01 déc. 01/12 U13 GARS-1 CTC - COMPETITION U13G1-CTC-COMP 78 - 48 IE - US YFFINIAC IE - US YFFINIAC Champ. 08 déc. 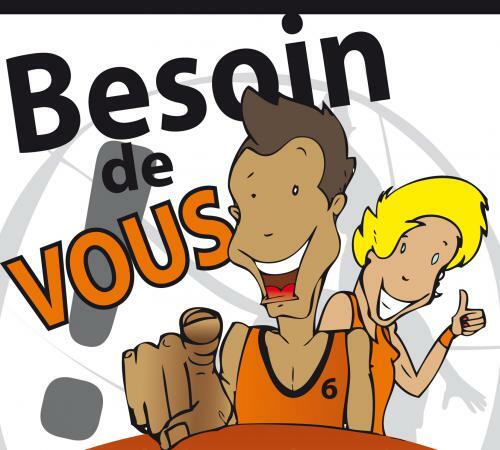 08/12 DINAN BASKET SAMSONNAIS DINAN BASKET SAMSONNAIS 25 - 91 U13 GARS-1 CTC - COMPETITION U13G1-CTC-COMP Champ. 15 déc. 15/12 U13 GARS-1 CTC - COMPETITION U13G1-CTC-COMP 67 - 53 LANNION TREGOR BASKET LANNION TREGOR BASKET Champ. 12 janv. 12/01 UJAP QUIMPER UJAP QUIMPER 57 - 30 U13 GARS-1 CTC - COMPETITION U13G1-CTC-COMP Champ. 19 janv. 19/01 U13 GARS-1 CTC - COMPETITION U13G1-CTC-COMP 46 - 114 TREGUEUX BCA TREGUEUX BCA Champ. 26 janv. 26/01 CAUDAN BASKET CAUDAN BASKET 49 - 44 U13 GARS-1 CTC - COMPETITION U13G1-CTC-COMP Champ. 02 févr. 02/02 U13 GARS-1 CTC - COMPETITION U13G1-CTC-COMP 52 - 56 AMICALE SPORTIVE ERGUE ARMEL AMICALE SPORTIVE ERGUE ARMEL Champ. 02 mars 02/03 IE - CTC BAIE D'ARMOR BASKET 22 (ex LBC/TBCA/USY) IE - CTC BAIE D'ARMOR BASKET 22 (ex LBC/TBCA/USY) 81 - 35 U13 GARS-1 CTC - COMPETITION U13G1-CTC-COMP Champ. 09 mars 09/03 U13 GARS-1 CTC - COMPETITION U13G1-CTC-COMP 32 - 106 IE - SAINT MALO CJF IE - SAINT MALO CJF Champ. 16 mars 16/03 MONTFORT BC MONTFORT BC 83 - 27 U13 GARS-1 CTC - COMPETITION U13G1-CTC-COMP Champ. 23 mars 23/03 U13 GARS-1 CTC - COMPETITION U13G1-CTC-COMP 61 - 49 UJAP QUIMPER UJAP QUIMPER Champ. 30 mars 30/03 TREGUEUX BCA TREGUEUX BCA 92 - 47 U13 GARS-1 CTC - COMPETITION U13G1-CTC-COMP Champ. 18 mai 18/05 U13 GARS-1 CTC - COMPETITION U13G1-CTC-COMP 15:00 MONTFORT BC MONTFORT BC Champ.